The Winged Creature Count Just Exploded. For the LOVE. PEOPLE. Listen to me. 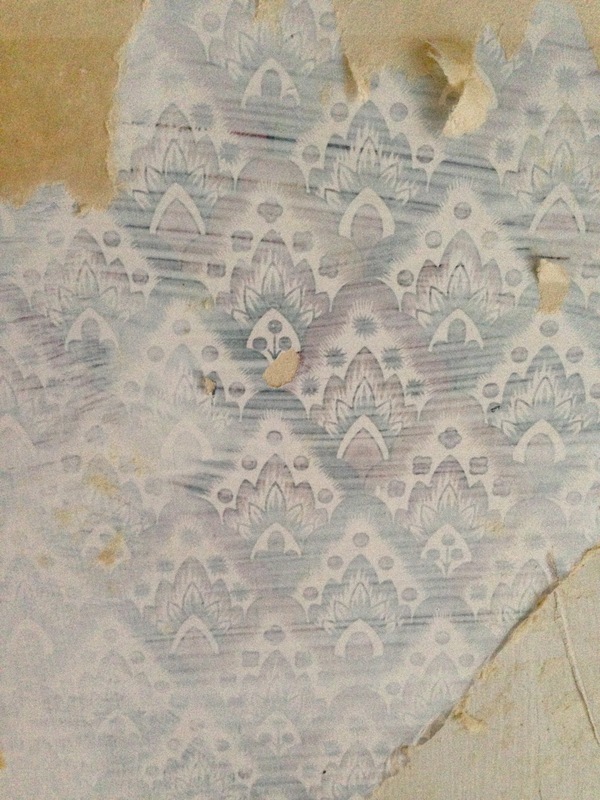 DO NOT PAINT OVER WALLPAPER. EVER. Maybe I shouldn’t blog seconds after becoming furious. But GOODNESS. So, this cute little room? 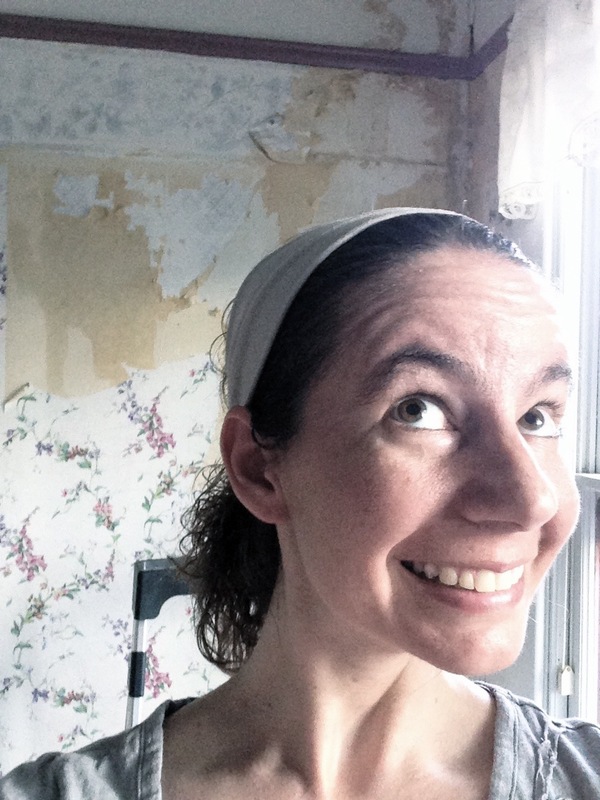 The one that was going to be a day of taking down wallpaper and then another couple to paint? And then we could move to the second floor and be air-conditioned as we sleep? I started up my miraculous steamer tonight, in the hopes of steaming off some paper for an hour or so. 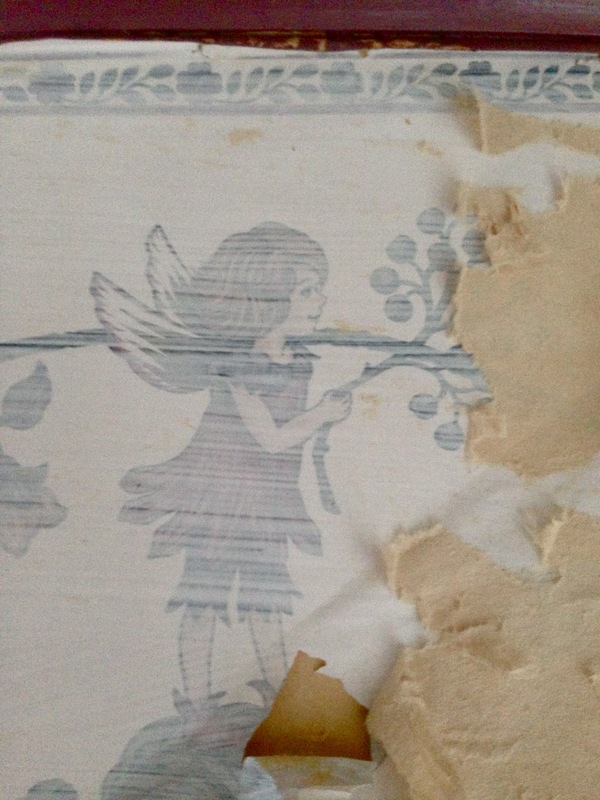 As I started to take the border off, I started to see something under the wallpaper backing. Ummmm…. that looks like a mouse. So then I started archeology instead of stripping. It’s a mouse. That has been PRIMED OVER. 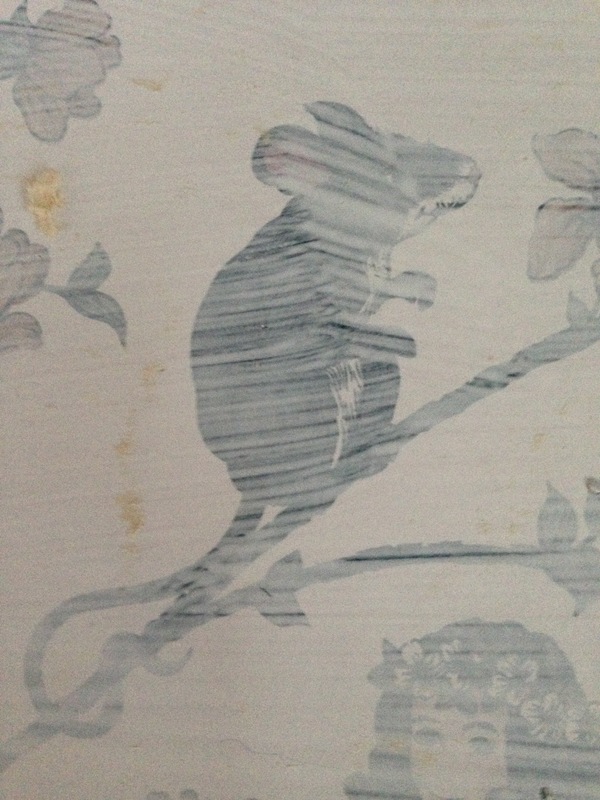 Plaster + Mice + Painting/Priming + More Wallpaper. You’ve got to be kidding me. Way to take a 12-hour project and turn it in into a 3-week project. Thanks a lot, people who used to own this house. Next, this lovely lady appeared. If you’ve been in our house, you know a fun party game to play is “count the angels.” If we include these winged fairies, our game just got a whole bunch more complex. She has some friends, too! So, take a moment to laugh and jest about the fact that the bunny and bird room is covering up mice and butterflies and fairies. I’ll let you know when this is finally funny to me. Because it will be. But probably not for a couple of months. Oh, my goodness. This is never going to come off. And in case we think it’s just a border, it’s not. 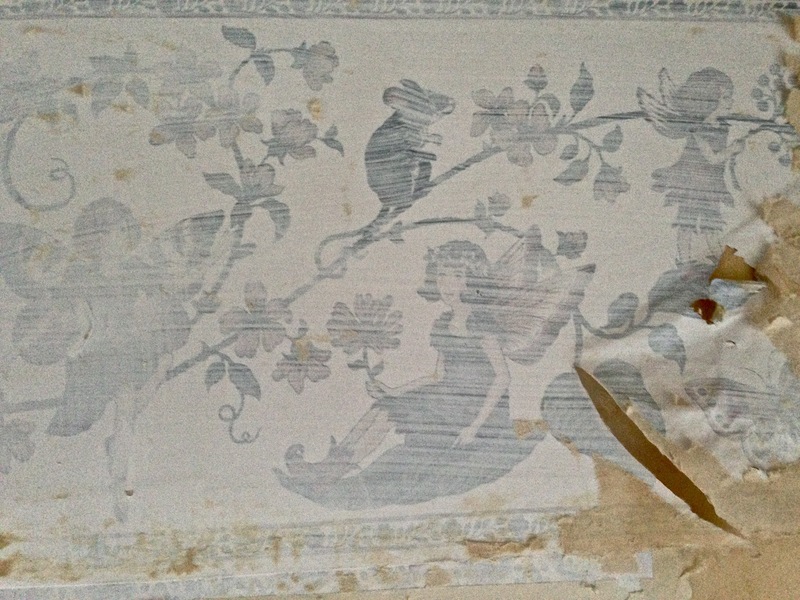 This is the lowest layer of wallpaper for the rest of the room. I kind of dig this, and wish I could see the real colors. It’s so much better than what is there now. Steamers are amazing. 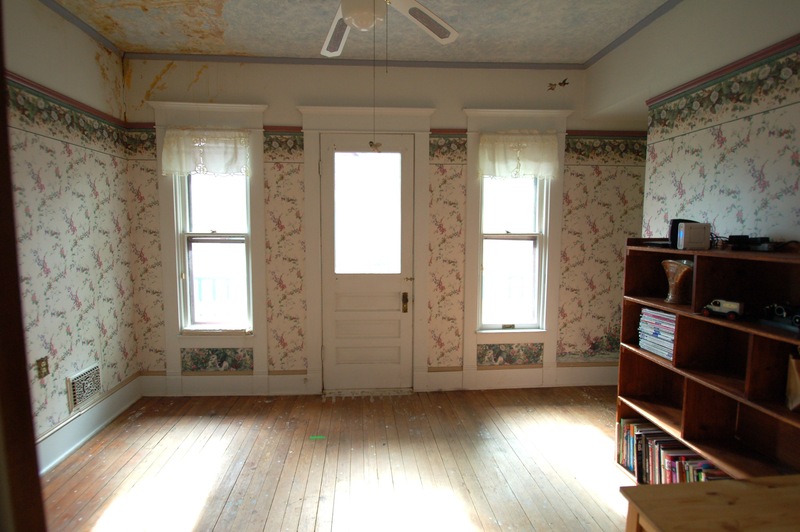 And I’ve taken off enough wallpaper that I’m pretty good at estimating the length of a project like this. But it’s just coming off in shreds. Lame. So I stopped. Because I’m mad. 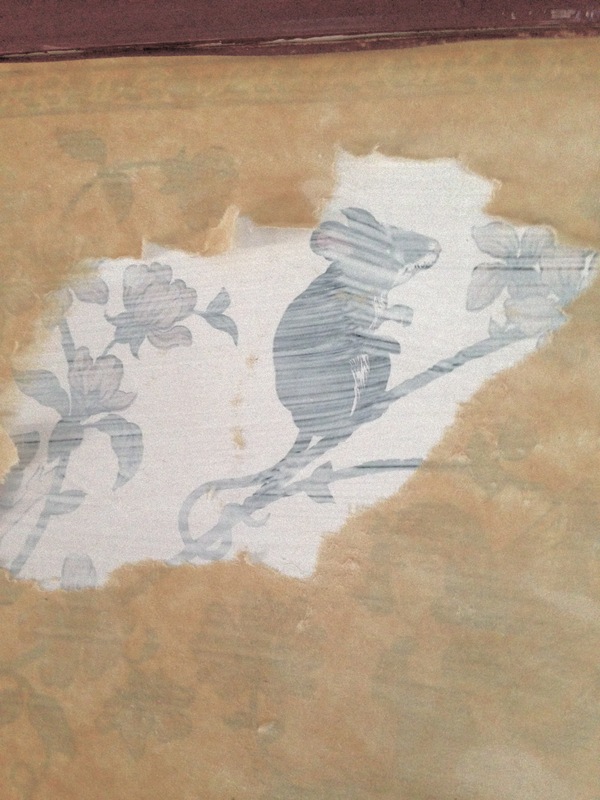 DON’T PAINT OVER WALLPAPER. 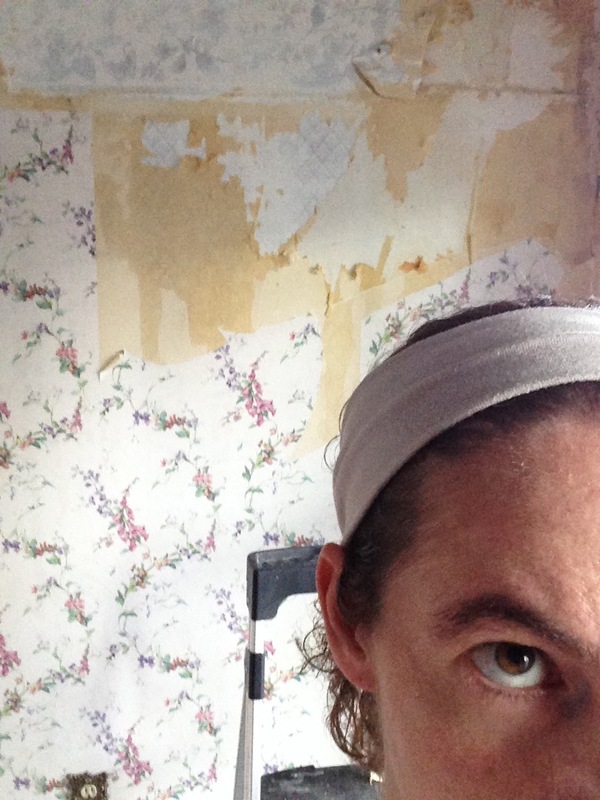 I would rather deal with 75 layers of wallpaper at once than one layer that’s been painted over. It is horrific. It’s all going to be OK, right? Smiling helps, right? Tell me this is going to be fine. Blargh. 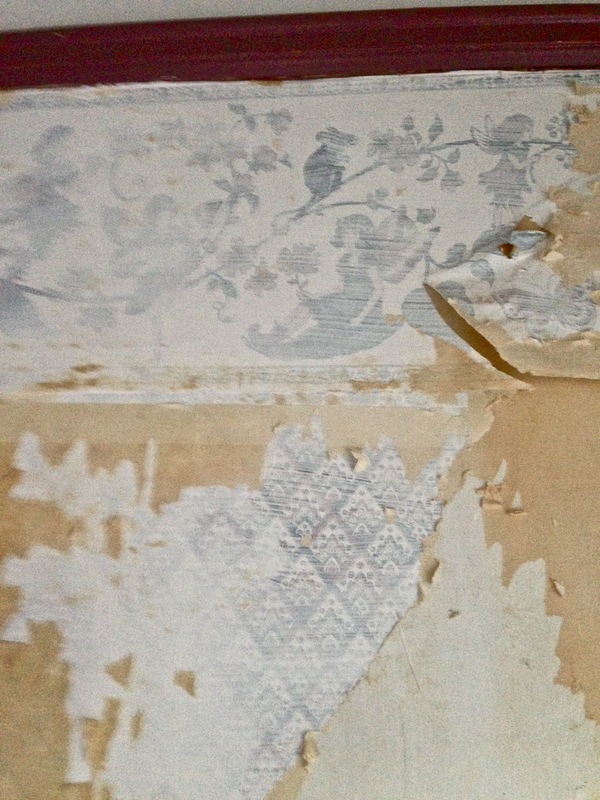 I love how you say the plaster is in good shape when I’ve uncovered 6 square inches of it. Rolling my eyes at you. 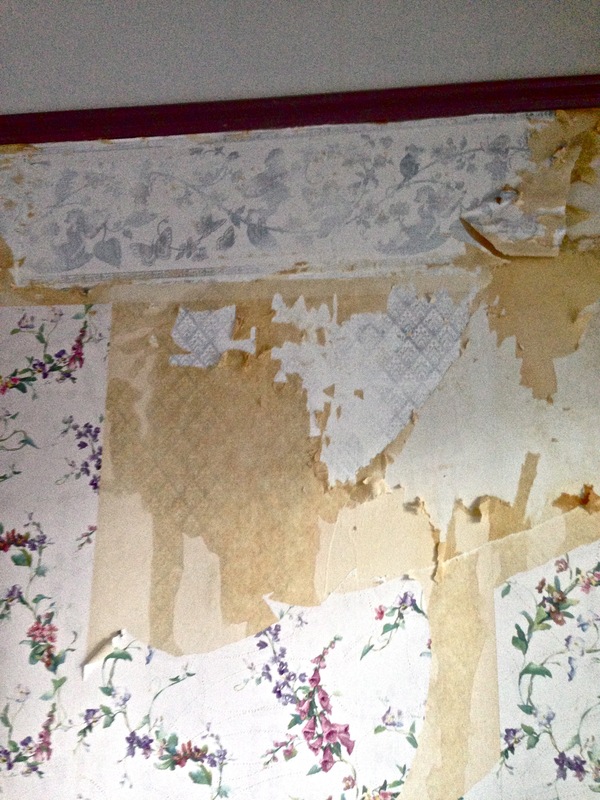 yeah I said the plaster in my living room was in good shape. And then I put it in a dumpster. So it’s a bonus that it’s now approximately six degrees out, right? Cyndi, YES! Although, the steaming today was so… well… steamy that it was nice to have the balcony in this room to open the door. It was hot in the room, but the cool outside helped a lot. I am one and a half walls down! 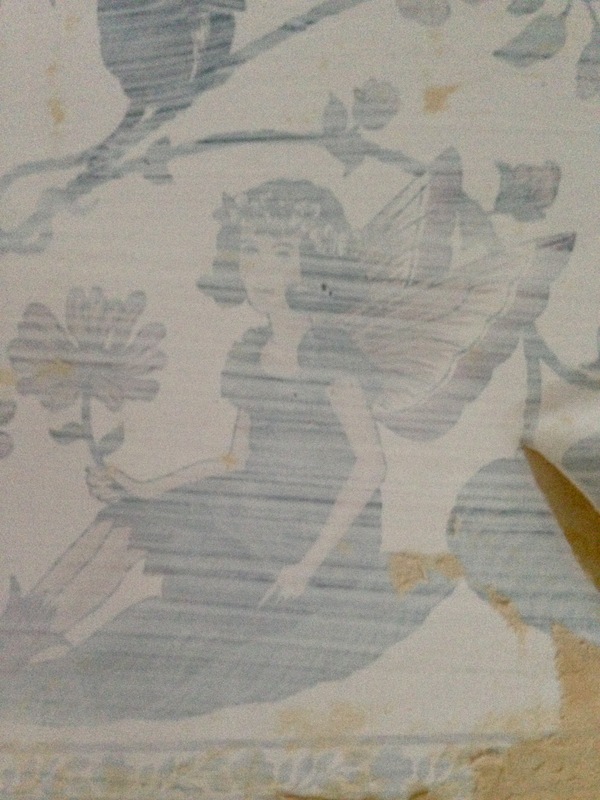 When my husband and I painted our first nursery, we discovered over 30 fairy stickers under the paint. 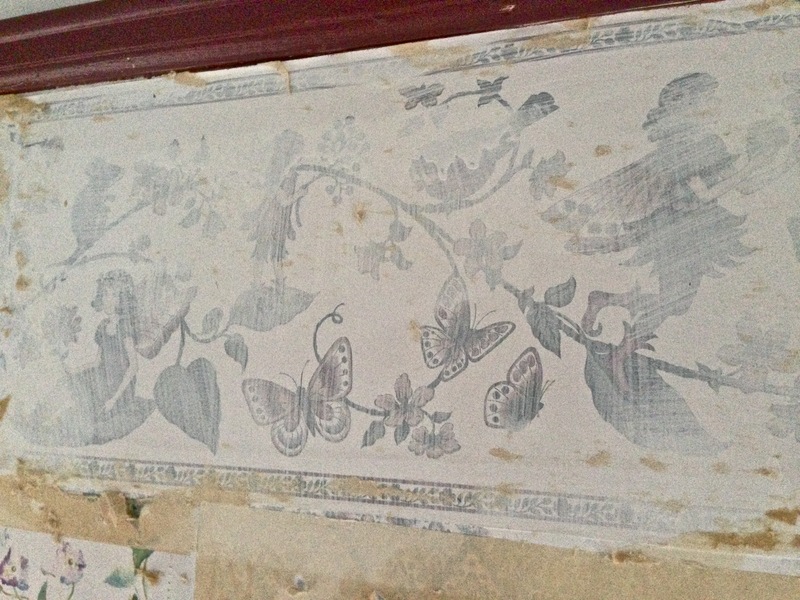 The previous owner’s daughter must have lived in that room and when they sold the house, they painted over the stickers rather than peel them off the wall. We peeled them out, then patched, primed and painted, and promised ourselves we would never let our girl put stickers on the wall. We should have also included black sharpie, but we didn’t think she’d be that devious, but she is. Lots of home owners take short cuts, alas.